The Aman Hotel and Club is a new luxury hotel complex near Shanghai in China. 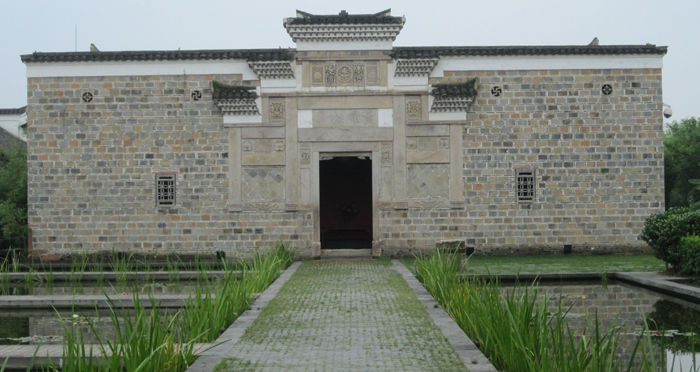 It is contained within a new walled village and is made up of 26 relocated and restored Ming dynasty villas alongside 18 new villas and a club and spa complex. At Dan Pearson Studio Lynda was responsible for the design of the private villa gardens and public green space. For more information about the landscape design of the communal areas and club, click here. The modern villa gardens were designed using motifs and materials similar to those in the antique villas. 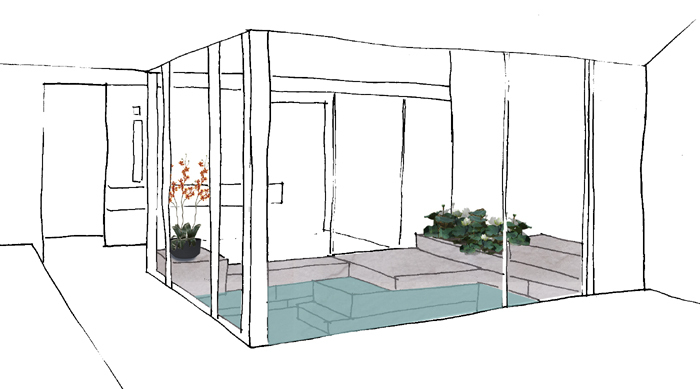 Here is shown a cross section through the garden and it’s waterlilly pool.